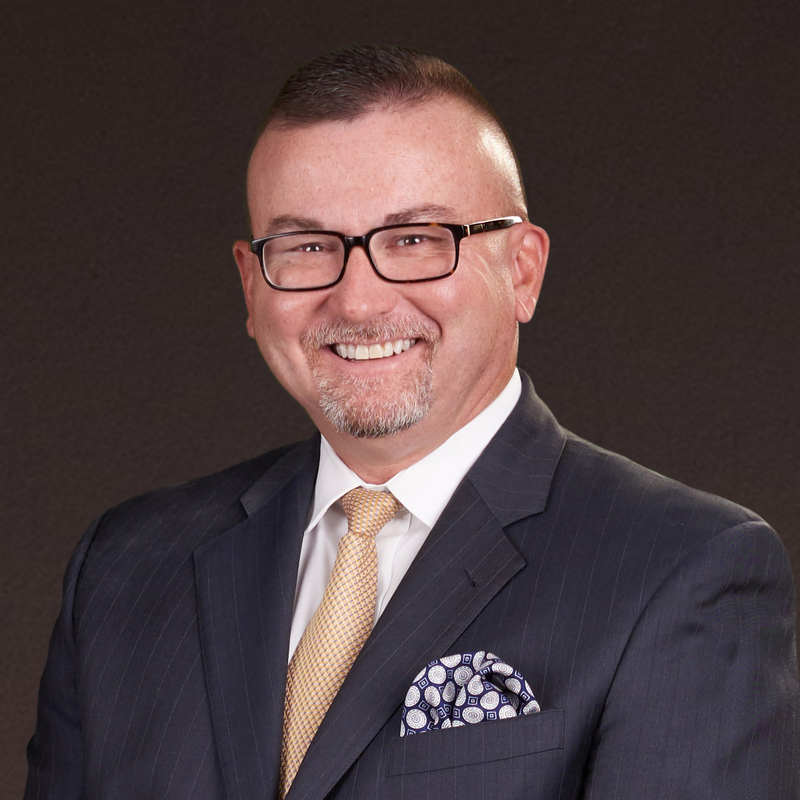 Bill Currence, Army Veteran, is the President and Managing Partner at Cornerstone Consulting Organization with more than 23 years of executive, manufacturing, financial, and engineering experience across a multitude of industries. Bill is recognized for his unique, results-oriented leadership style to consistently deliver outstanding returns for clients while simultaneously stabilizing and ultimately improving operations. Bill has served in a variety of executive leadership consulting roles over the past 5 years, leading project teams in achieving hundreds of millions of dollars in improved EBITDA and cash flow. Bill created Cornerstone, a Service Disabled, Veteran-Owned Company, continuing to serve administratively in the chief executive role; employing leaders that have served in our nation's defense who bring considerable value to a variety of clients. Bill has successfully led a variety of projects across five continents in more than 20 countries spanning numerous cultures and cost structures. Leveraging a variety of skills including Cornerstone's unique FIT manufacturing approach, Bill has tackled projects including M&A, turn-around, launch, operations, logistics, quality, engineering, supplier development, and many more. Additionally, Bill has directly led projects in defense, aerospace, automotive, retail, healthcare, and food services, generating returns ranging from 300% to 1000% and yields significant NPV cash returns. Prior to starting Cornerstone, Bill served as EVP of International & Business Development, then Chief Operating and Chief Financial Officer for a competing Manufacturing, Industrial, and Quality Engineering consulting firm, where he led all company-wide operations comprised of four vice presidents, finance, human resources, and recruitment. As the key leader, Bill is credited with maximizing operations, business growth, and EBITDA results to become one of the best recognized engineering services and technical consulting firms during his tenure. Bill held other key leadership roles in a variety of organizations, including Director of Operations for KRISS Arms, where he led the operations teams to a new level of performance. While at Visteon, a leading global Tier 1 automotive supplier, Bill was the Global Associate Director of manufacturing, manufacturing-engineering, operational excellence, and launch management programs for the climate product group. Earlier in his career, Bill held other key roles while at Visteon, the Carlisle Group and Lear Corporation. Bill is a 1993 graduate of the United States Military Academy, former Army football player and starting tight end. Bill served as an Army Officer for 10 years between active duty and the reserves, leading two company commands, the second command during the September 11, 2001, attacks and their resulting deployments. As a result of these experiences, Bill personally understands the meaning of excellent leadership, how to build it, and how to convert it into maximum value for his clients. 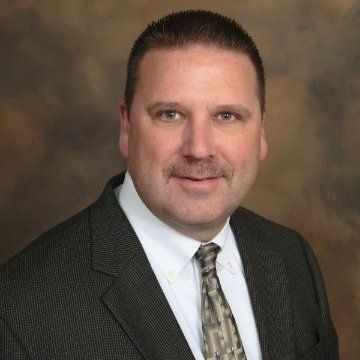 Scott Wawrzyniak is President & Managing Partner at Cornerstone Consulting with more than 25 years of experience as an innovative leader focused on driving efficiencies. Scott is an industry expert known for operational excellence through strategic development and execution that continually maximizes shareholder value. Scott has successfully led several operations on a global scale by creating and implementing sustainable best practices that produce improved operations, quality, and customer service impacting the bottom line. Scott was the former Vice President of Global Operations and Quality of Key Plastics, a leading global manufacturer of automotive interior, exterior, and under the hood plastic components. As Vice President, Scott led more than 4,500 employees across 16 plants globally to drive operational, quality, safety, and financial improvements to emerge the company from prior bankruptcy status to double digit EBITDA results. More specifically, Scott enhanced overall quality by driving down PPM below target globally while simultaneously improving safety to an overall incident rate never before achieved and now used as a benchmark for “best in class” within the plastics industry. Prior to Key Plastics, Scott was the former Global Leader of Operational Excellence of Visteon Corporation, a leading global automotive supplier that designs, engineers, and manufactures innovative electronic products for vehicle manufacturers. While at Visteon, Scott established the company’s first ever Global Operational Excellence team to create and execute key metrics that optimizes through put and value add. Scott also designed and implemented programs to generate operational efficiencies improving profit, strengthen balance sheet results, and optimize cash flow by utilizing his prior operational and financial expertise. In addition to his key executive roles in operations, Scott has led engineering, program management, and finance teams with Ford Motor Company. Scott was a key team member developing Ford’s Way Forward Plan focused on long-term sustainable growth and cash flow stabilization. Scott also held several director level positions in supplier development and operations at Lear Corporation, where he was able to drive sustainable performance from their supply base to enhance cost reductions over target. During his time at Lear Corporation, Scott was recognized as an industry leader, receiving quality awards from Ford, General Motors, Chrysler, Toyota, Honda, and Nissan, respectively. Scott holds a bachelor's degree in Mechanical Engineering from Michigan Technological University and a Masters in Science Administration from Central Michigan University. Scott is an innovative leader with broad-based expertise in multi-site operations, finance, program management, engineering, and process improvements to maximize shareholder value. His passion for talent development and engagement is shown at every one of his engagements for sustainable and scalable results. Chris Ostrander is the Strategic Partner for Cornerstone Consulting with over 23 years of experience as a thought-provoking and ground-breaking leader for driving strategy and long-range growth to clients across multiple industries. Chris also is a sought-after advisor to senior leaders in the automotive aftermarket focused on growth through mergers and acquisitions in the private equity, hedge fund, and other similar investment arenas. Chris’ ability to energize organizations to position as more proactive growth-focused operations while adding strategic commercial and customer capabilities is a key distinguishing factor, while our clients seek Chris out to move their businesses to the next level. Prior to joining Cornerstone, Chris was the CEO and Advisory Board Chairman for the Family Office of Gardner & Sons in Findlay, Ohio. These companies included Superior Trim, The Gathering, The Gathering Wine, and the family’s real estate businesses. Before this, Chris was the President and CEO of AP Exhaust Technologies leading the second largest aftermarket exhaust supplier in the aftermarket industry. During his tenure, he led the acquisition and integration of Eastern Manufacturing, Inc., increasing sales by over 30%. Chris revamped the entire sales organization to become a more optimal performing team while adding strategic account management capabilities which resulted in new pipeline business valued at over $160m. Additionally, Chris personally restructured the Marketing Organization for greater emphasis on new product development. The end result was the reduction of the development product life cycle from 67 days to less than 7 within six months after the reorganization. Prior to AP Exhaust, Chris was President of the Americas Tire Operations for Cooper Tire, an American company that specializes in the design, manufacture, marketing and sales of replacement automobile and truck tires, motorcycle tires, and racing tires. Chris led the America’s business unit encompassing sales of over $2.5B and more than 6,000 employees across North and Latin America. Chris improved operating margins from an average of <5% to >9% of sales within the first two years driven through new product development and launches, improved sales mix, implementing prices strategies, scrap reductions, automation investments, and material cost reductions. Chris spent a large part of his career at Eaton Corporation, where he was Vice President and General Manager of multiple businesses including the Torque Control Products Division, Mirror Control Division, Fuel Emissions Division, and Commercial Vehicle and Aftermarket Group. Chris also held significant leadership roles for the BOC Group, PLC, a multinational manufacturer and distributor of industrial gases. 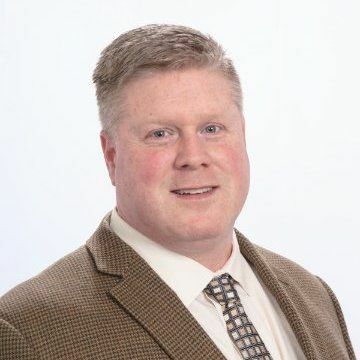 Joining BOC in 1998 as a regional engineer, Chris advanced to Vice President of Sales and Marketing for its Distributor Network before departing to Eaton. Chris holds a bachelor’s degree in Mechanical Engineering from the United States Military Academy, a Masters Degree in Engineering Management from the University of Missouri at Rolla, and an MBA from the University of Michigan. He is also a graduate of the US Army Engineer Officer’s Basic Course, the US Army Engineer Officer’s Advance Course, US Army Airborne School, and the US Army Armor School. He also serves on several boards, including The University of Findlay, Tour de Force, Inc, the United Way of Hancock County, and is a member of the Mayor’s Council of Trusted Advisors for the City of Findlay. Ravi Purimetla is the Vice President - Consulting Operations at Cornerstone Consulting Organization. He holds more than 25 years of experience as a culture transforming leader with heavy corporate and manufacturing environment interests in operations, operational finance, procurement, supply chain management, logistics, project engineering, cost analysis, estimating and target costing. Ravi has successfully led a variety of development and implementation projects including creating a cost estimating system capable of quoting multiple product lines which resulted in a $20M improvement at the company’s American facility, a $40M improvement in Mexico, and he successfully obtained 20% EBITDA levels at the Czech Operations facility for another company from a prior 12% level. Ravi has extensive experience in the global market and has worked in three continents with a variety of corporate and production environments. Prior to starting at Cornerstone, Ravi served as the Vice President of Global Supply Chain and Procurement at the International Automotive Components Group where he created a globalized function to leverage all regions, and as Vice President of Global Supply Chain and Procurement at Varroc Lighting Systems where he executed the mandate to integrate all facets of the supply chain under one functional department including supplier performance, engineering, logistics, and procurement to liaison with suppliers as a single point of contact to the organization. This single point approach resulted in complete premium freight elimination, inventory reduction and collected an additional $2M annually. 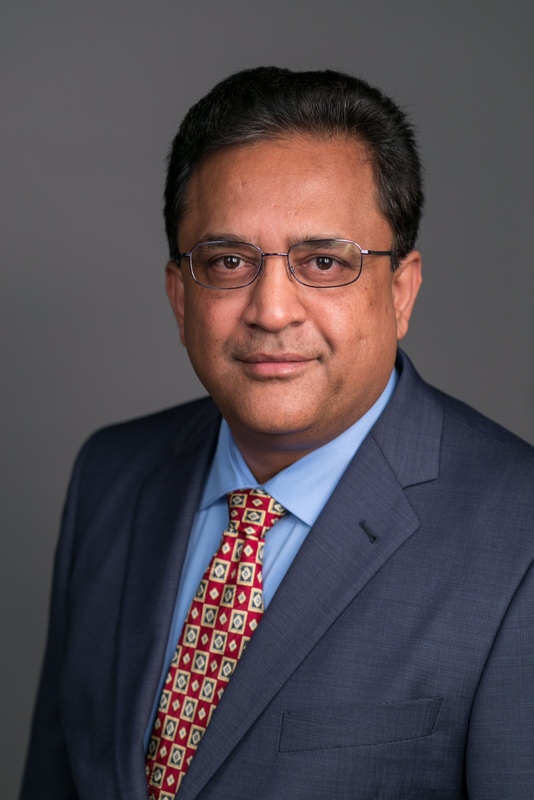 Ravi held other key leadership roles in a variety of organizations, including Global Purchasing Director and Operations Director of Czech Operations, and Regional Finance Leader of Mexican Lighting Operations of Varroc Lighting Systems and Visteon. He was also General Manager of India Operations at Pune Operations, Controller and Cost Estimating Manager at Interior Systems Division at IACNA and Lear Corporation, as well as Senior Cost and Price Analyst, Senior Financial Analyst, Project Engineer and Advanced Manufacturing Engineer. Ravi is a graduate of Oakland University with a Master of Accounting degree, a Master of Science in Metallurgical Engineering from Missouri University of Science and Technology, a Master of Science in Materials Science and Engineering from the Indian Institute of Technology (IIT) and a Bachelors of Science in Metallurgical Engineering from the Regional Engineering College. 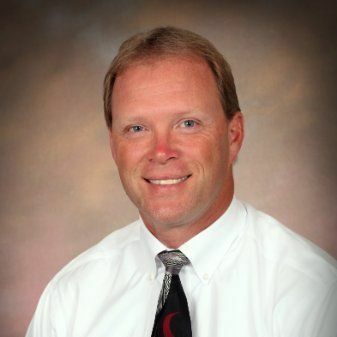 George McAfee is the Vice President over Strategic Marketing at Cornerstone Consulting Organization. His career spans more than 30 years as a Global Senior Operating Executive with cross-functional expertise and accomplishments in operations, engineering, supply chain, logistics, and commercial strategy in large companies across diverse industries. He is recognized for being a visionary thought leader, trusted advisor and inspiring mentor who creates a culture of confidence with conviction and brings strategy, structure, and discipline to complex operational challenges. George has successfully led commercial strategy and business development projects for multi-billion-dollar corporations as well as leading supply chain transformation and overseeing global quality assurance. In these projects he demonstrated commercial innovation and leveraged strong business relationships to form joint ventures targeting 25% EBITDA growth. In another venture he identified production redundancies and executed consolidations improving contribution margin $2.2M, reducing transportation expense $5M and FGI $80M, along with elevated on-time delivery and operational efficiency. He also built a Worldwide Quality Assurance Organization and led due diligence across Asia to identify suitable production facilities, leveraged NAFTA to create joint venture in Mexico and optimized a European affiliate to enter new markets and formulate the company’s first Quality Operating System, garnering national recognition from NHTSA and MAPI Quality Council. Before joining Cornerstone, George held other senior leadership roles in a variety of organizations, including Head of Commercial Development at Marathon Petroleum Corporation, Director of Worldwide Quality Assurance and Program Manager of Supply Chain- Operations Research, at Cooper Tire & Rubber Company, and Manager of Process Development and Engineering at Harris Semiconductor. His broad depth and breadth of expertise in strategic planning, business development, manufacturing, logistics, and quality is backed by his extensive training in Lean, Six Sigma Black Belt, PMP and becoming a Malcolm Baldrige Performance Excellence Examiner. He also completed a Material Science and Micro Analysis Program at Lehigh University, and a Commercial Skills and Strategy executive program at the Wharton School. He is an Officer and Director of The Partnership for Excellence (TPE)—Tri-State affiliate (OH, IN, WV) of the Malcolm Baldrige National Award for Performance Excellence (a division of N.I.S.T. ), and an Advisory Board Member for several colleges and universities as well as an adjunct faculty member. George is a graduate of California Intercontinental University where he received his Doctorate in International Business, with an emphasis in Global Leadership. He completed his Bachelor of Science in Electronic and Computer Engineering from Bowling Green State University, and his Masters of Business Administration from the University of Findlay. Kim Voss joined Cornerstone Consulting Organization in August of 2017 as the Director of Administrative Services. With over 30 years of experience in office administration and human resources, Kim’s area of focus within Cornerstone is the company’s Administration, Onboarding, Human Resources, Payroll/Benefits, managing all Company financials along with the Government business sector. 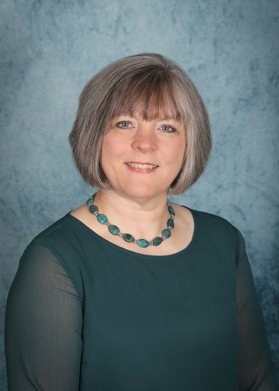 During her time with Trilogy Health Services, Inc. she had responsibility for human resource functions such as onboarding, payroll and employee files; accounts payable, liaison with home office, and management presence at the facility on occasional weekends. While at The Productivity Team, LLC, built the administrative department by developing HR procedures, onboarding, payroll functions, and maintained all employee benefits for a rapidly growing consulting firm. She began her 23-year career with Durakon Industries, Inc. in sales and marketing, moving to corporate finance and administration for the CEO and CFO, then on to human resource administrator responsible for all new hires, payroll and benefits for both the non-union and union facility which at its peak was 550 employees. Throughout her career, she has been recognized for accuracy and thoroughness, strong written and verbal communication, as well as, the demonstrated ability to manage multiple demands simultaneously while meeting all deadlines. Her interpersonal skills allow her to facilitate cooperative relationships with all levels of employees and customers.